'Brilliant' Report On Obesity in African-American Girls Navigates Race : NPR Public Editor A Morning Edition report about high obesity rates among African-American girls prompted a tough question—why did NPR point the finger at one group when obesity transcends race and gender lines? The piece is, in fact, accurate and well-crafted race-related reporting. Two reactions are common when a negative news report comes out about our own race or ethnic group. One, I want to know more, so I can confront the problem. Or, two, why are they pointing fingers at us? A recent report on Morning Edition about the high rate of obesity among African-American girls sparked both reactions. It's the latter one that is troubling. "I was once again appalled to hear about an issue that has nothing to do with race framed in a racial context," wrote Carolyn Casey, of Boston, MA. "The fact of the matter is that the lack of exercise increases EVERYONE'S risk of obesity, which is why over 60% of ALL Americans are considered overweight or obese." Listener Kwende Madu commented: "I would ask that NPR refrain from publishing stories that concern the African-American community as this only gives racist elements an excuse to vent their hatred. I have no doubt that this particular problem will be handled internally and the African community will emerge stronger much to the dismay of our enemies." So, was NPR derelict in its reporting, or did it do a disservice to the black community? The concern among listeners that the news media too often focuses on the problems in a community, in this case African-American girls, is understandable and often correct. Issues about any community that need to be confronted tend to draw more attention among policy makers, journalists and the public than successes do. But this sometimes creates false overall impressions of the community involved and doesn't reflect the reality we see in our everyday lives. NPR editors seem to be conscious in their programming of the need to reflect the full range of American reality, but can always do more. That said, they and all the news media shouldn't shrink from bad news about any one group or try to falsely dress it up. This would be the greater disservice. The obesity story was a good example of race-related reporting. It was done for Morning Edition by Taunya English, a health reporter for WHYY in Philadelphia. Her story was part of a new year-long project in which NPR editors and Kaiser Health News train reporters from local public radio stations around the country and edit some of their stories to run on NPR. The purpose is to improve local health reporting. (Kaiser Health News is funded by the Kaiser Family Foundation but is not related to the Kaiser Permanente health insurance company). English also produces a series of health stories in a collaboration between WHYY and Philadelphia's only black-owned radio station, WURD. The series is titled "In the Gap: Voices from the Health Divide." After each installment, English said that she participates in a talk show on the black-owned station. This is community service journalism as it should be. The obesity story grew out of both collaborations, and fit in perfectly with a running NPR national series on obesity in the nation, according to NPR science editor Joe Neel, who manages the effort with Kaiser and local stations. It's true that Americans of all races face obesity concerns. Host Renee Montagne introduced the story with just that context. But as Montagne telegraphs and University of Pennsylvania epidemiologist Shiriki Kumanyika makes explicit in the segment, about 30 percent of white woman are obese but a significantly higher number—about 50 percent—of black women are. 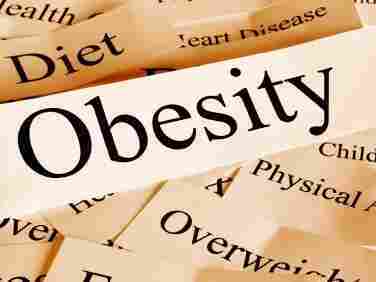 Different studies measure overweight issues in different ways, but the disparity is repeatedly confirmed. As Kumanyika says on air, weight within both groups has gone up proportionately over recent decades. Temple University Professor Clare Lenhart, also interviewed by English, cites a major, 10-year old study by the National Institutes of Health that associates the difference with exercise. As children, the differences are minor, but by the age of 16 or 17 years old, the report concludes, 56 percent of the black girls and 31 percent of the white girls reported no habitual exercise. The normal adolescent reasons—boys, appearance and the like—come into play for declining physical activity by both groups of girls as they become teenagers. But Kumanyiki notes that the African-Americans, many of whom live in urban areas, also have less access to sports facilities. A leading authority on African-American health issues, James S. Jackson of the University of Michigan, goes a step further and has found in a series of major studies that African-American women also are disproportionately stressed by income, family and neighborhood issues and so disproportionately eat "comfort food" for relief. The coping strategy seems to work on one level. He and others have found that black women suffer from psychological problems much less than white women. They also smoke and use drugs and alcohol much less, contrary to popular stereotypes. But the comfort food, which tends to be high in fat and calories, has its own downside—weight. African-American women disproportionately suffer physical ailments as they age, and as a group they die younger than white women. This was not in English's story, which focused on girls. What was in her story was an unusual ending. Instead of using the expected anecdote of someone overweight, English and editor Joe Neel ran tape of girls playing soccer. They then bring in the voice of an African-American mother of a 15-year-old daughter on the field. The daughter, we learn, has bucked the trend and stuck with sports because the mother made the sacrifice of always being on the sidelines. English declined to tell me why she ended with that uplifting story, so I will offer my own reasons why it was a good idea. I do not come from the school of journalism that says reporters are not responsible for the consequences of their stories. But at the same time, I do not believe in pulling punches to assuage any one group. The ending with the mother appropriately summarized the challenge presented by the story. It also was good radio, with engaging audio and an interesting twist. But in returning to the theme of the sometimes knee-jerk habits of journalism—in other words, focusing only on problems—this story was different by ending with a positive message that offered a solution any one of us can follow. I thought it was brilliant. The WHYY and WURD series is called "In the Gap: Voices from the Health Divide." Taunya English participates in a conversation on-air after each installment. NPR is running a national series on obesity.